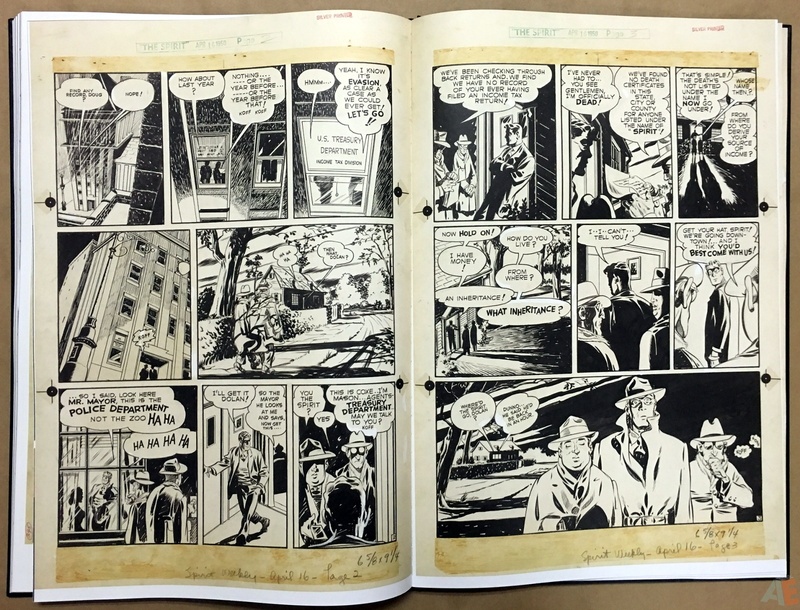 IDW is exceedingly proud to offer an Artist’s Edition of Will Eisner’s The Spirit. 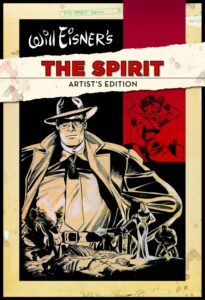 Created by Eisner in 1940, the Spirit is to comics what Citizen Kane was to cinema—groundbreaking and brilliant. 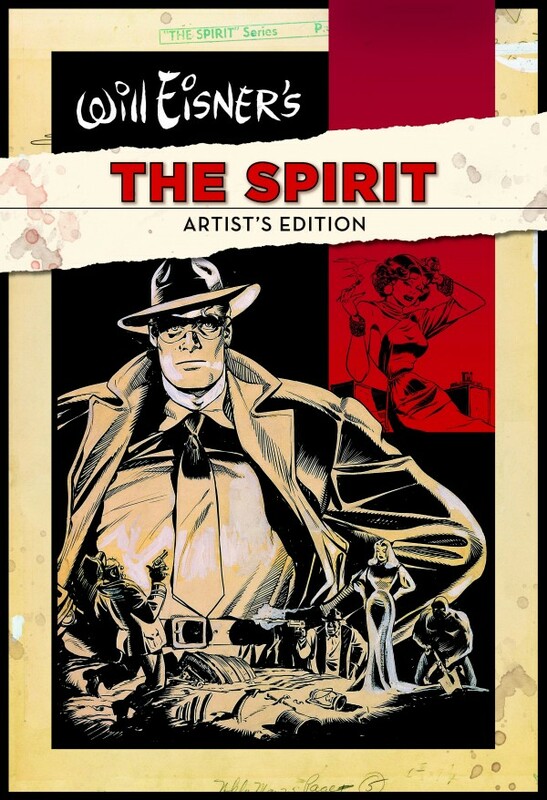 17 classic stories are collected in this volume, each being scanned from the original art, and all stories from the post-war years of 1946-1950—generally regarded as Eisner’s best period on the Spirit. 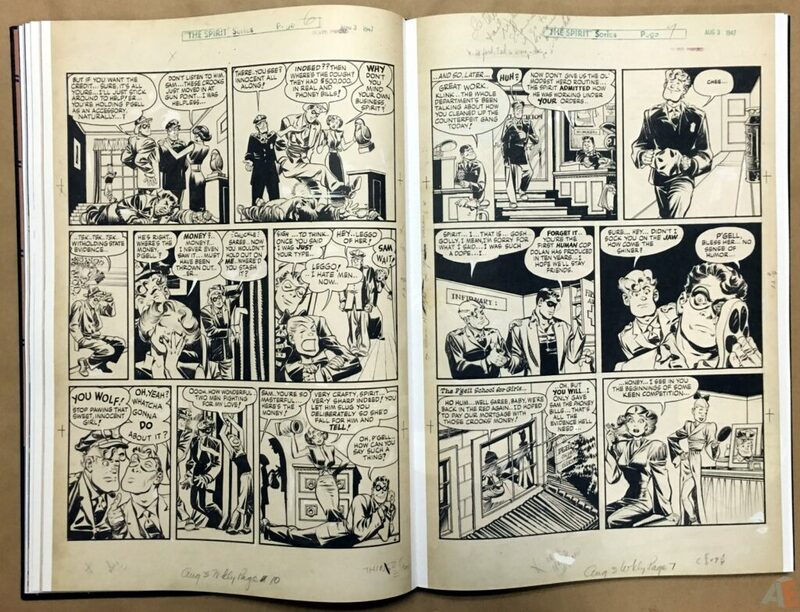 Stories include April Fool, Li’l Adam, War Bride, Taxes and the Spirit, and Eisner’s personal favorite, The Story of Gerhard Shnobble, as well as a dozen more. 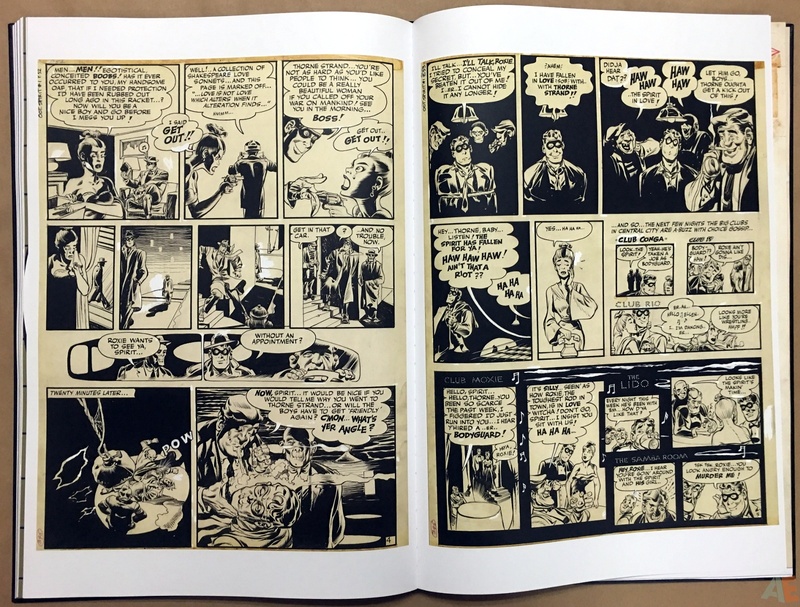 All the pages in this book have been scanned from the actual original art that was drawn by Will Eisner. 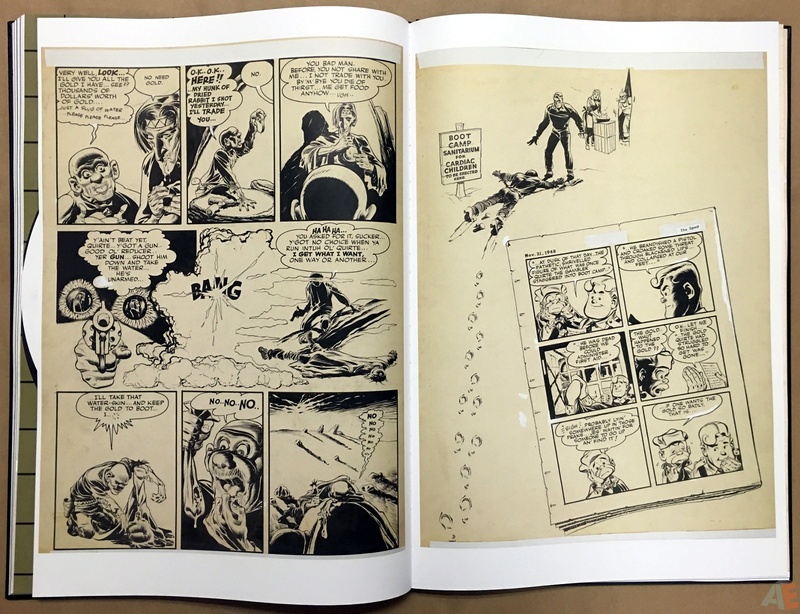 This Artist’s Edition measures 15 x 22 inches and is 144 pages long. Each book is shipped in a custom cardboard box for maximum protection. 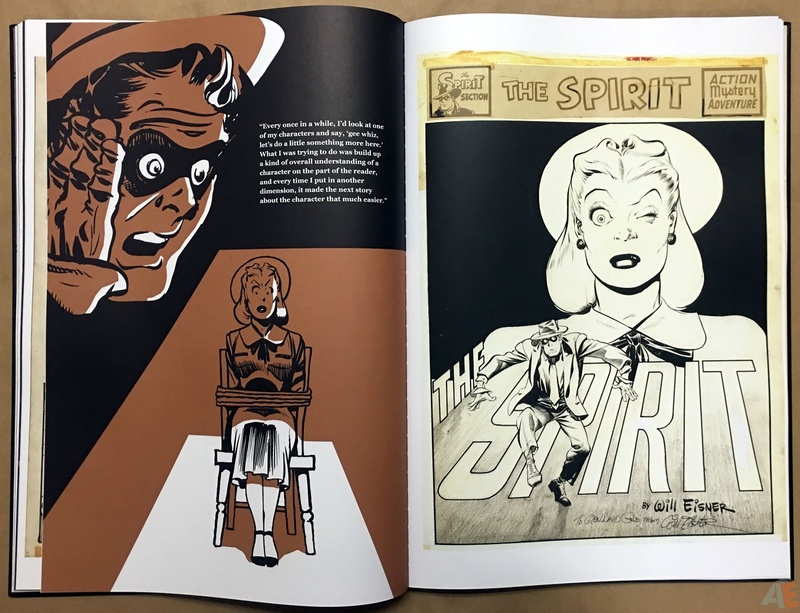 After much delay, and that’s being kind, I was blown away by Will Eisner’s The Spirit Artist’s Edition. Those reading this who wonder if this book is worth the money should run to their nearest comic shop and buy it while they can. As with all Artist’s Editions, this one is a collection of original inked comic art pages scanned in colour, and as always the end product is stunning. 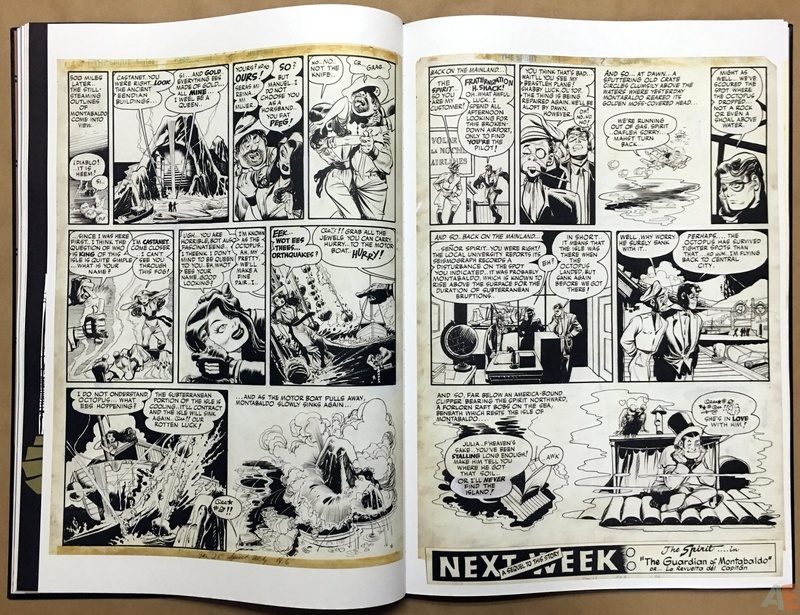 I’m not here to review the material as it’s over sixty years old and has been published in multiple formats since. 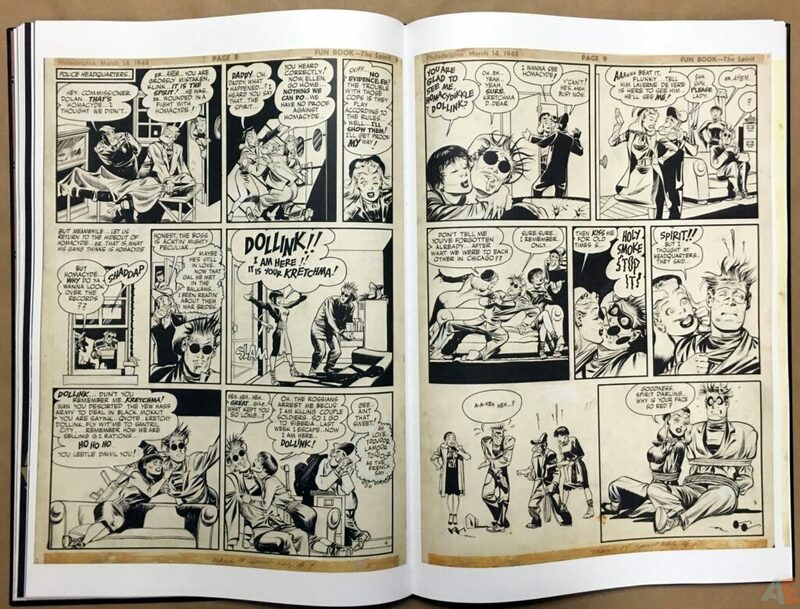 In this review I’m looking at this book from it’s presentation of material and overall production. At fifteen by twenty-two inches this volume is daunting in size and readability; it requires a plan before reading. 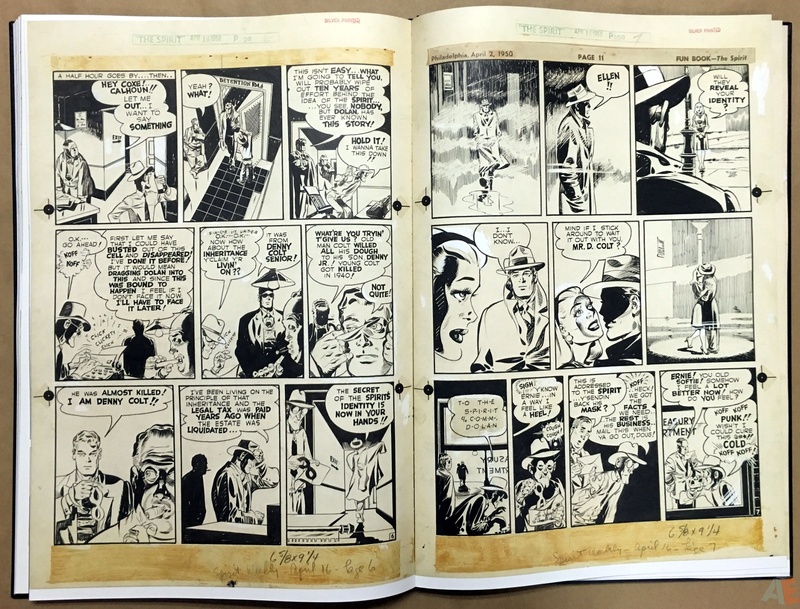 Once inside you can’t help but be consumed with the presentation of each and every page of incredible Eisner artwork. 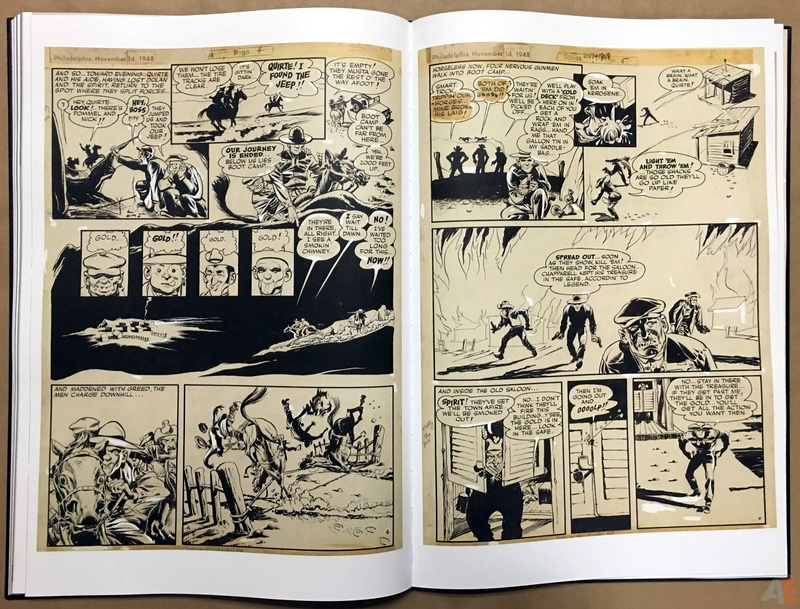 This is why people buy Artist’s Editions and this one pays off. 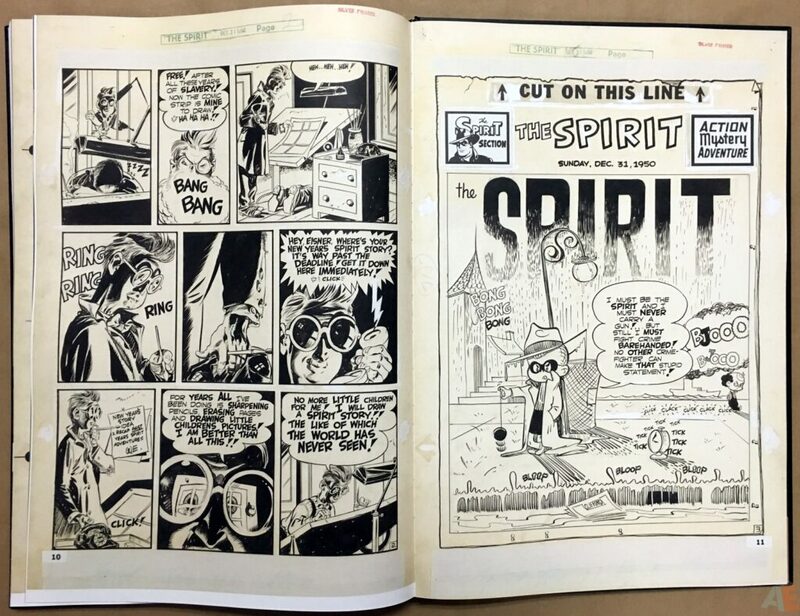 For most modern collectors our only exposure to Eisner’s Spirit work has been through DC’s The Spirit Archives, now defunct. Those 7 x 10 inch colour pages are what we know, but the colours are bright and simplistic, meant for newspapers. 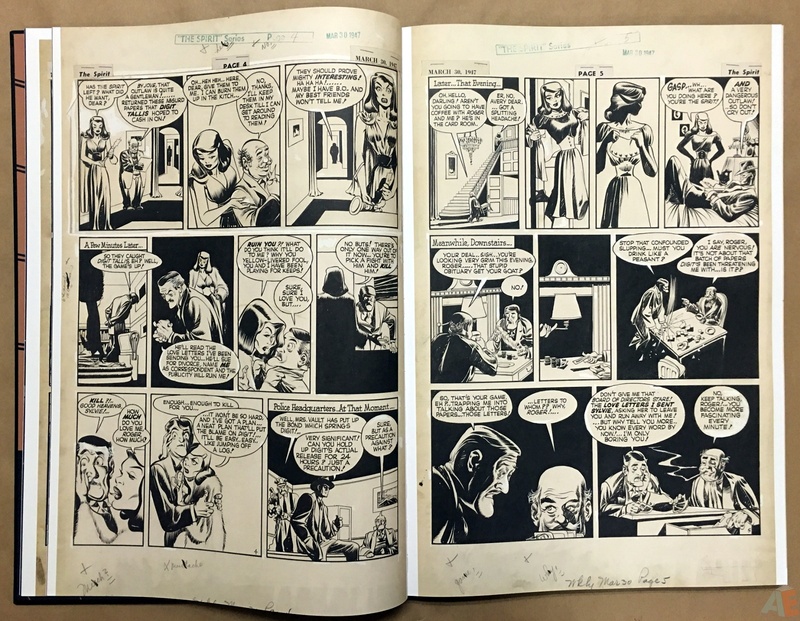 Here we’re treated to every inked nuance on the page, including a surprising amount of “white out” correction fluid. 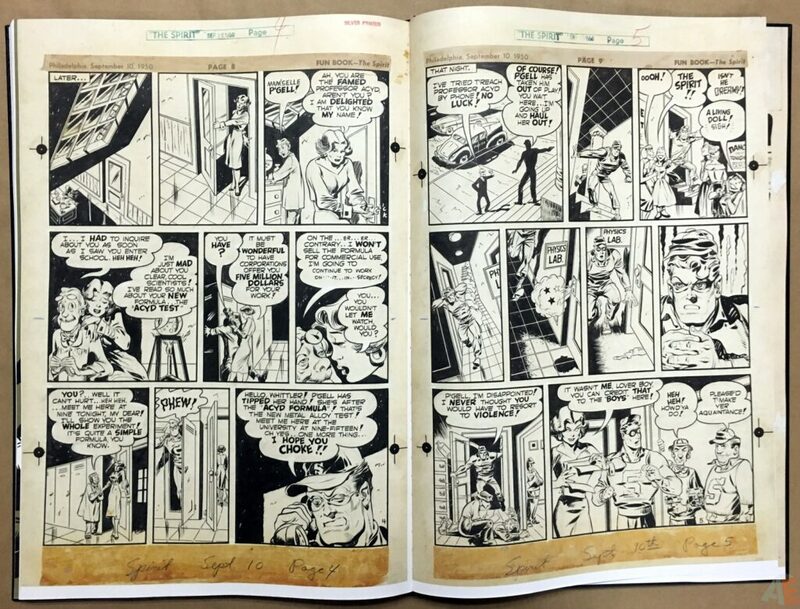 It’s worth noting however Eisner’s integration and play with the colour and what we’re missing out on without it. 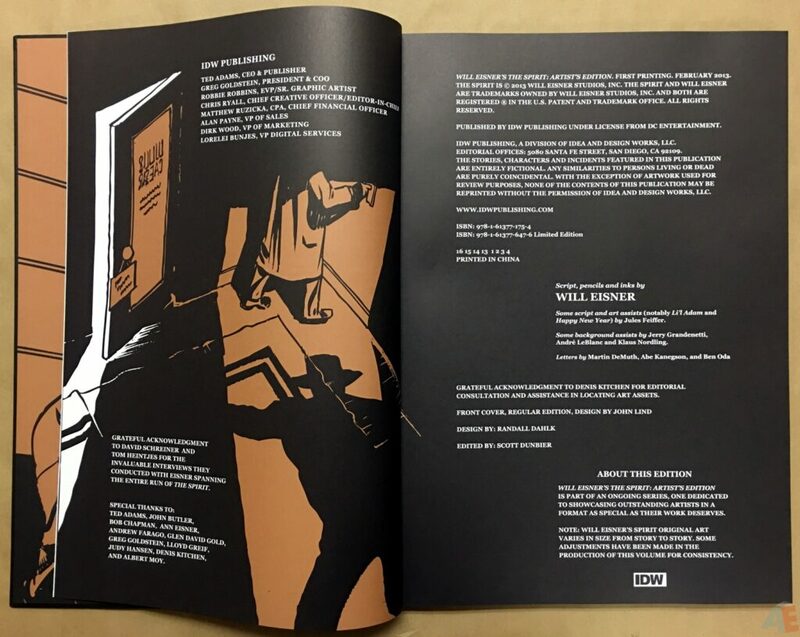 Indicia notes in front say the original artwork was different sizes and they standardized it for print here but I couldn’t pick out any issues: every page looks like an original. 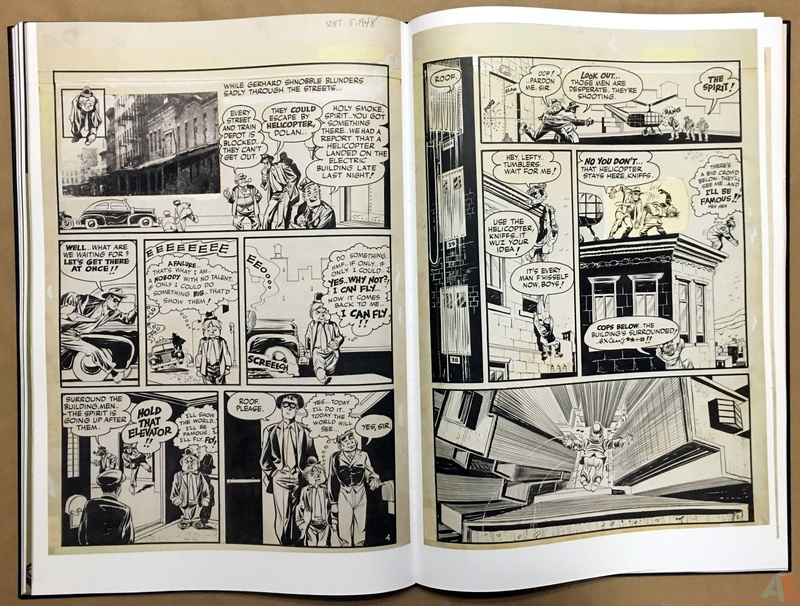 Several times I found myself swiping my hand across a page to remove a fleck that was part of the original scan. I found the production notes in the margins difficult to read but that’s my only complaint. Production design is second to none. Randall Dahlk did the work here, as he’s done on so many other gorgeous IDW collections. Here’s Scott Dunbier discussing the story layouts. My wonderful designer, Randy Dahlk, did a great job on that. 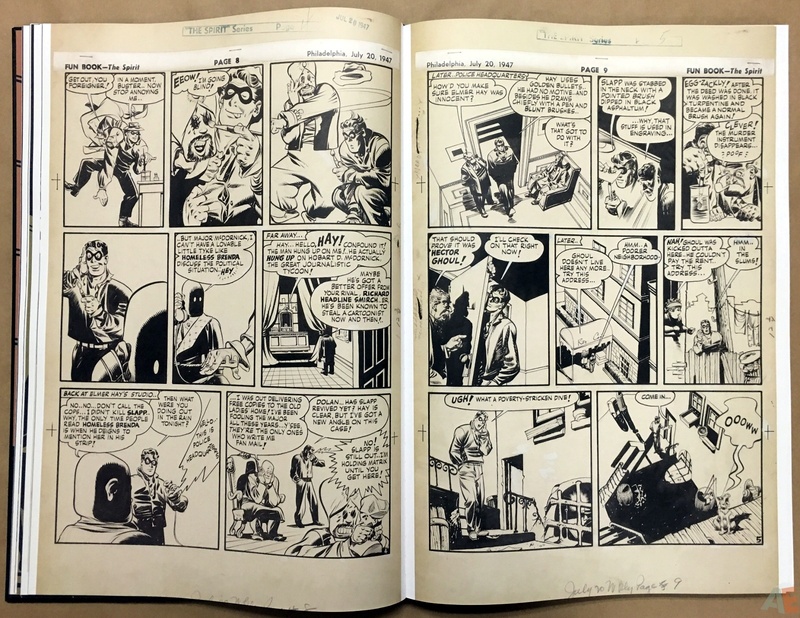 It was important to me to keep the original pagination of the stories, since Eisner is so renowned for his sequential storytelling the last thing I wanted was to mess with his pacing. 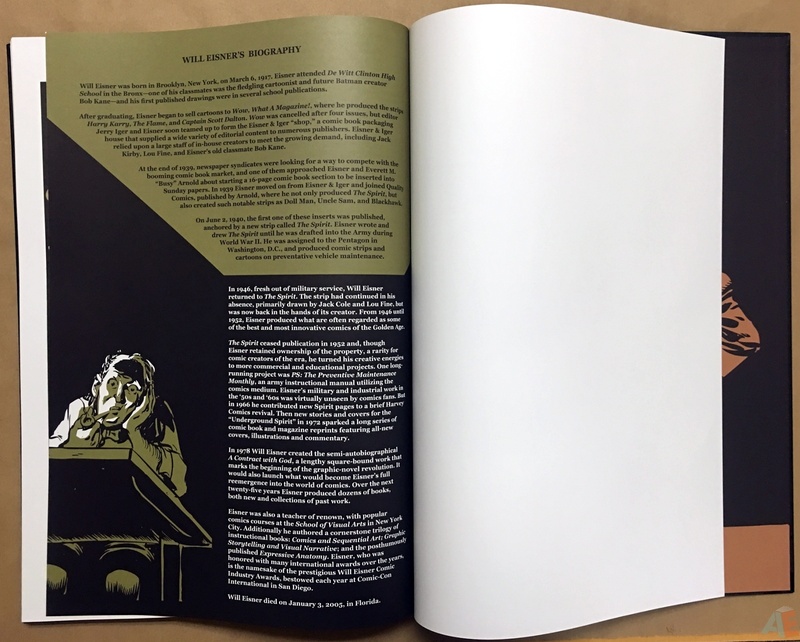 But this represented a problem—since all the stories are seven pages we needed to add a design page to each one to keep the flow as intended. So I decided to add an introductory page to each story. 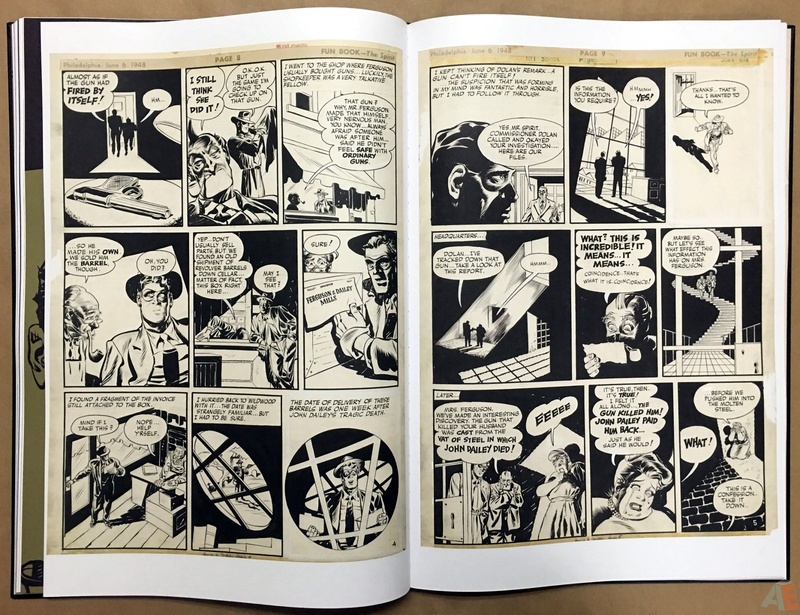 Denis Kitchen, who among many other things, represents the Eisner Estate, came up with the great idea of incorporating an Eisner quote in each of them. 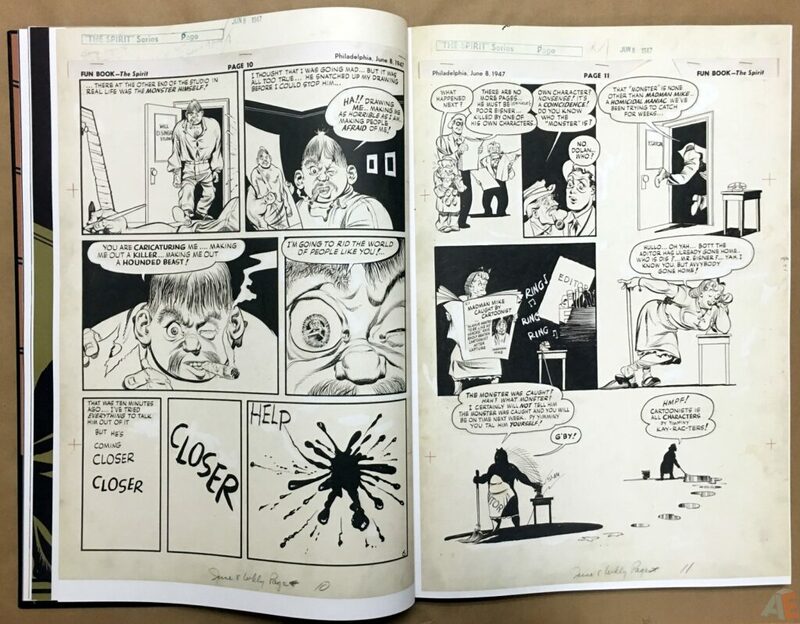 Denis reminded me that Eisner spoke at length about each story when the original Kitchen Sink reprints were coming out, so each intro page has a quote referencing the story it faces. 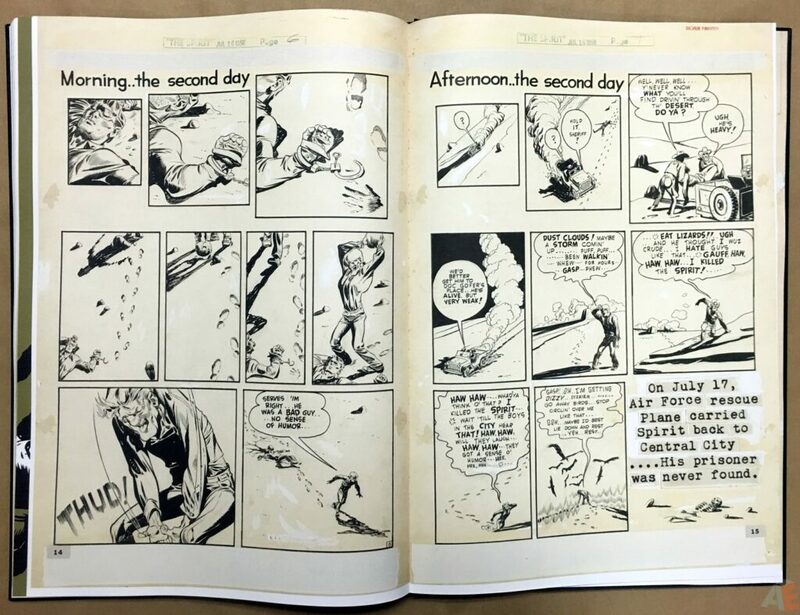 Every story begins on the right side of the book with a splash and Dahlk’s coloured chapter breaks on the left with Eisner quotes. 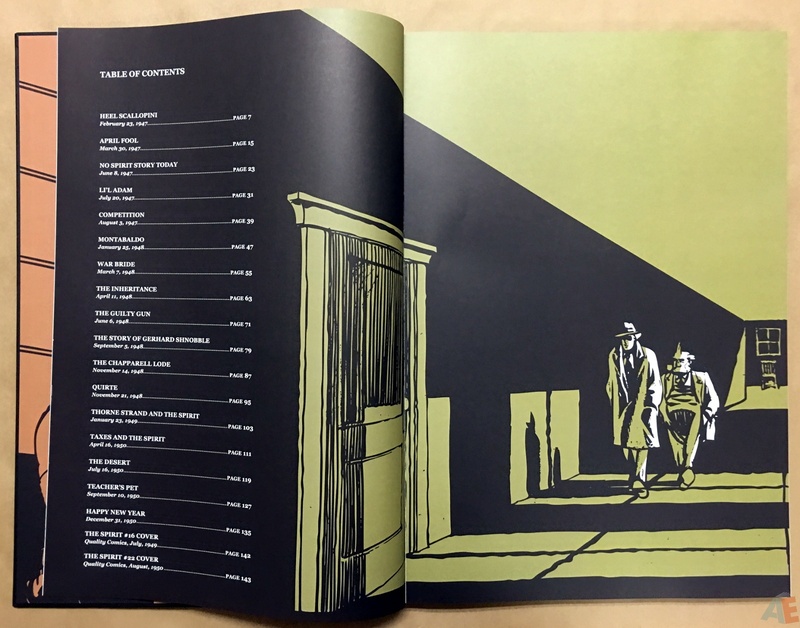 Art was chosen from the book’s material and coloured with black and a single colour. Great stuff and a perfect foil to the original art pages. Here’s Dahlk discussing it. 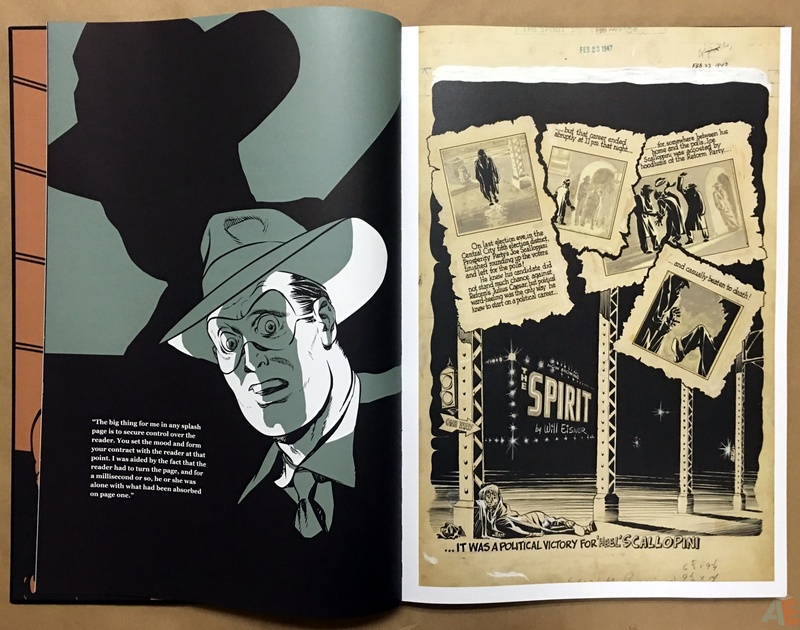 When designing this book, I wanted to emphasis the noir aspects of the art. Eisner was so talented in creating atmosphere through light and shadows. I wanted to design in that same direction. I used individual images, and bits and pieces of panel art to re-construct new situations and scenarios. I wanted the chapter dividers I created, to maintain the moodiness of the book. I chose colors that were “smokey” and somewhat dirty, then I added bright hi-lights to the images. I wanted the art to have a strong direct light source, that in turn would pull the figures out of the dark. It adds a sense of danger and drama. 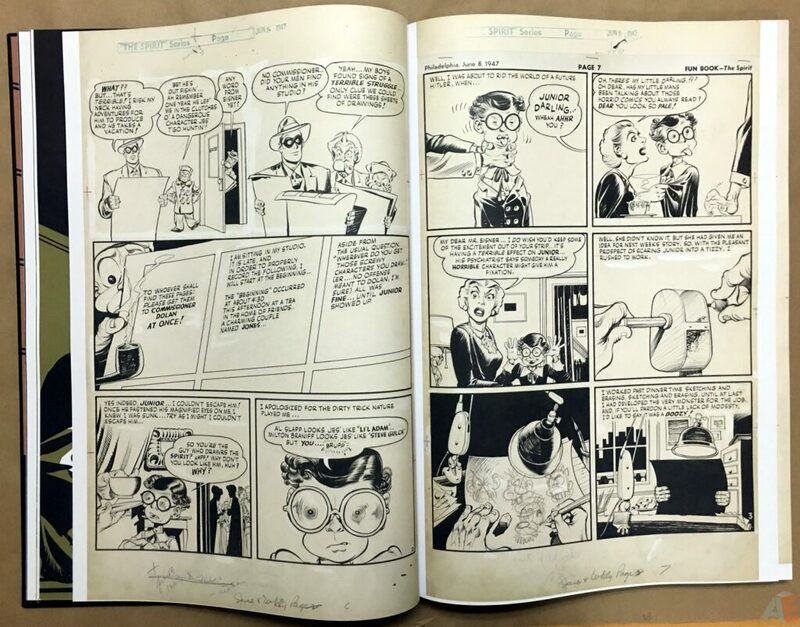 It was quite a treat to work with Mr. Eisner’s highly revered characters, and be able to add my humble spin to them! 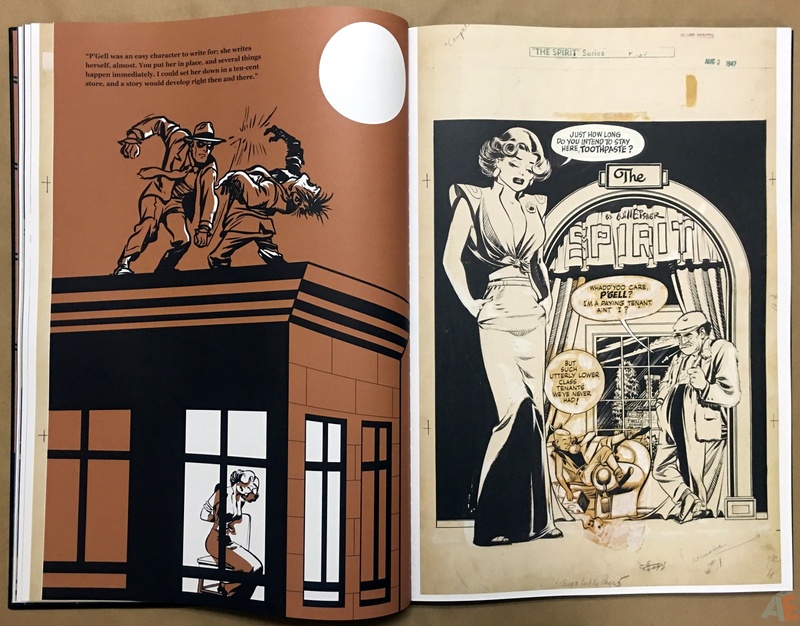 Will Eisner’s The Spirit Artist’s Edition is a must-have for every Eisner fan and highly recommended for anyone who enjoys comics. Let me leave you with this from Dunbier. 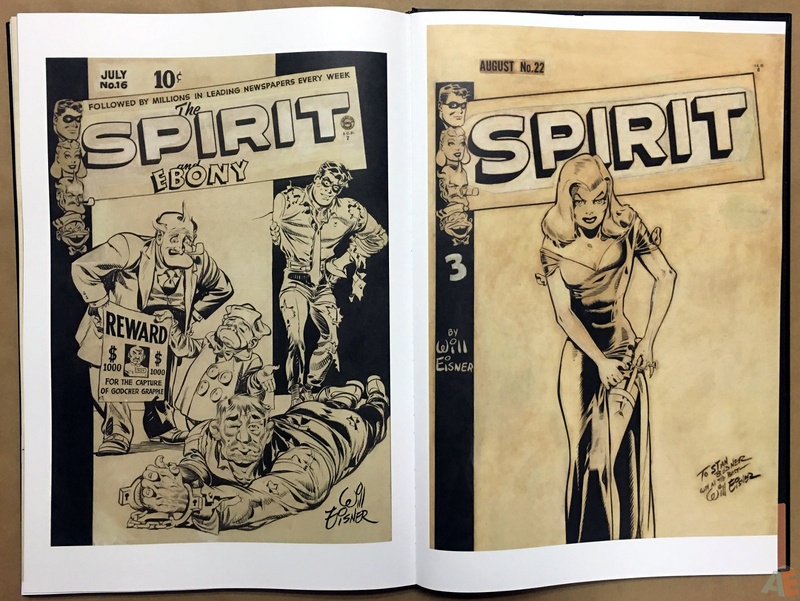 Oh, and I will try to make the second volume of Will Eisner’s Spirit: Artist’s Edition a bit more timely when it comes out!